The Automated External Defibrillator Course (AED) shows learners how to use an AED machine with confidence and efficiency. This short 3 hour course prepares the candidate by teaching them the skills required to restart the heart, when a casualty suffers cardiac arrest. This short, interactive course will teach learners how to identify, treat and stabilise a casualty suffering with Anaphylactic Shock. 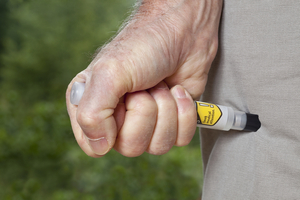 This has the potential to save a life and prepares the individual to be confident in dealing with a medical emergency and when using an epipen. 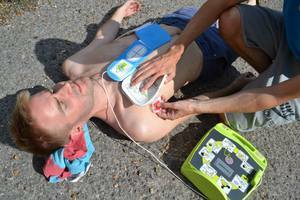 The Level One Basic Life Support Course addresses the most common emergencies that a first aider may face. The course meets the latest guidelines from the UK resuscitation council - covering the practical elements of First Aid. The Basic Life Support course can be completed in house at your own venue, and at a time to suit your business needs. This includes weekdays, evenings and on weekends. Group training can work out more cost effective, leading to an informative and enjoyable course for your staff members. The First Aid for Parents course teaches a basic set of skills that can be used to save the life of a child / baby in an emergency. Its suitable for new parents, groups, friends & family. The worst situation is to not know what to do when an emergency arises. This course gives people newfound confidence during such events. By its conclusion candidates receive an electronic certificate which is valid for three years.